Peter Cantieni usually mills titanium components for BMW Sauber… which makes him best qualified to produce precision parts. 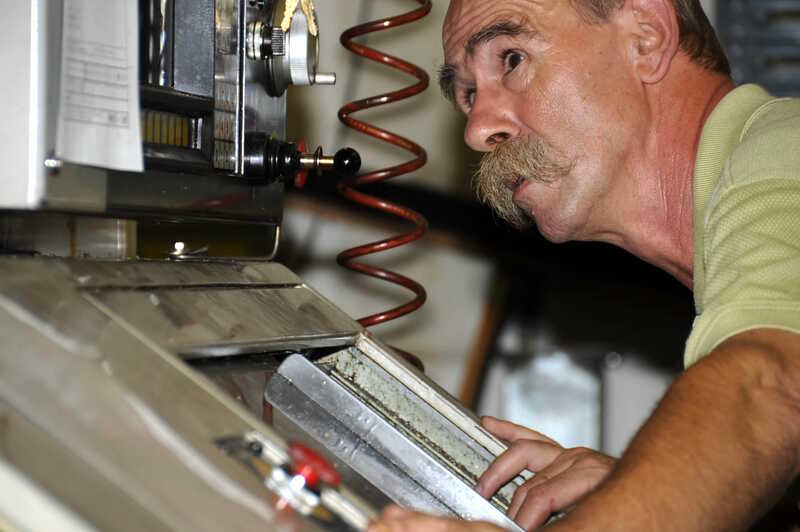 Peter mills and lathes our cases using precious metal. He uses titanium for the junior watch.